February has just flown past leaving my reading schedule a twitching, discarded mess in its wake. In fact, while I have 3 books currently on the go, I haven't managed to finish a single title this month. I hope this doesn't turn into a repeat of the Great Reading Slump of 2012. On to happier things - new books! 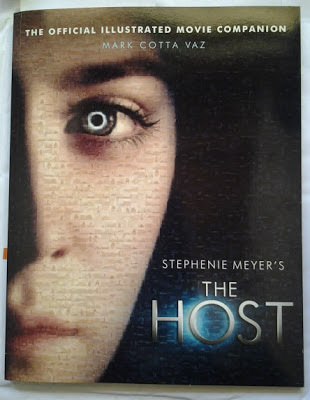 Penguin Books SA sent me this absolutely stunning copy of The Host: The Official Illustrated Movie Companion by Mark Cotta Vaz. I also received a copy of Adam Robots by Adam Roberts (try saying that 10 times in a row!) from the kind folks at Gollancz. 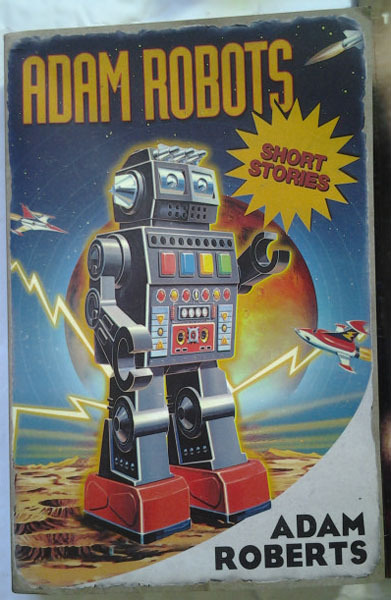 I absolutely love the vintage look of the cover and the short stories contained within are pretty darn good too! And the prize goes to... Me! And finally I managed to win an ARC of C. Robert Cargill's Dreams and Shadows from a Twitter competition held during the launch of Gollancz Geeks. The cover is something to behold; you really need to see it in person to appreciate all the fine detail. 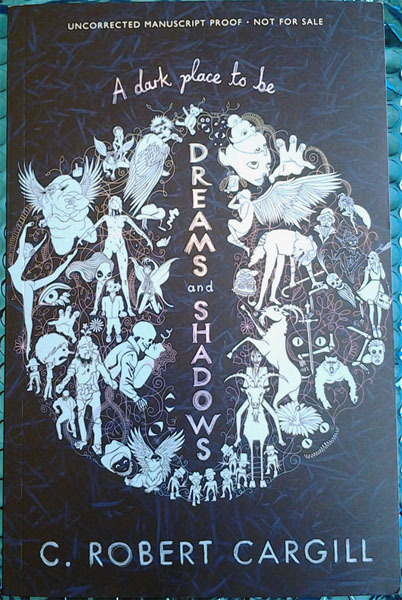 If the ARC is anything to go by this is definitely one of those books you will want a physical copy of so you can admire it from time to time. I can't wait to read it. Just when you think things couldn't get any better The Book Depository goes and expands their 24 hour sale by quadrupling the number of books on sale. Instead of a special offer every hour they've upped their game by offering one every 15 minutes! The sale starts at 12:00 GMT on Thursday, the 21st of February and lasts for 25 hours. As always they are offering free international shipping on all orders. I know I'll be keeping an eye out for any science fiction and fantasy titles. Hopefully with 100 books on offer I'll find at least a couple that catch my fancy. The sale is now on. Seems quantities are limited to 100 per offer and you need to be very quick if you want to purchase the item. The first offer sold out within the first 5 min!